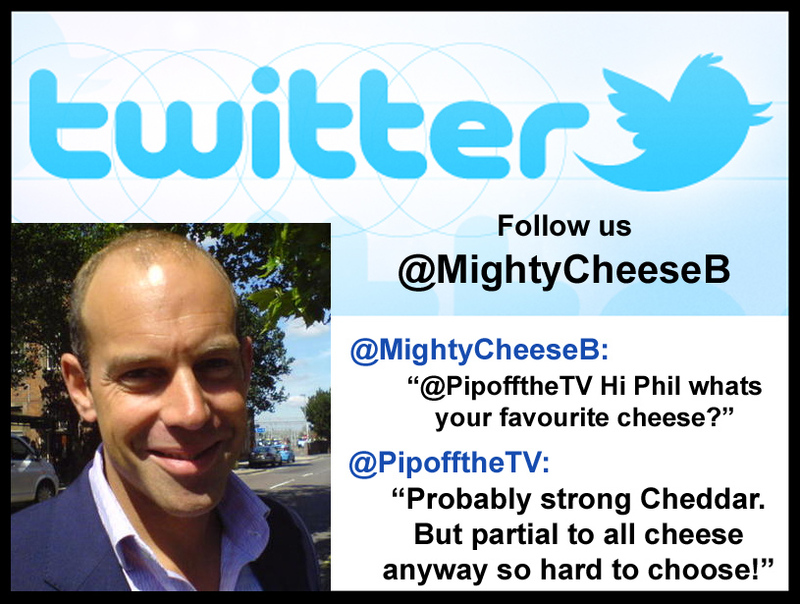 Its been a bumper crop of celebrity cheese tweets lately and the latest is TV property guru Mr Phil Spencer. It looks like when he's not flirting/bickering with Kirsty he's chomping on some cheese. Glad to hear he's partial to all cheese (but looks like if pushed he would opt for some strong Cheddar!